Researchers from the department of Physical Geography and Regional Geographical Analysis at the University of Seville have developed a new system to estimate the time that it takes to do a walk in the countryside. It is an algorithm that takes into account length and gradient as the main variables when establishing how long a walk takes. After applying their method on routes all across Spain, they are convinced that their formula provides a better approximation of the time that will be taken by an average hiker than other systems currently in use. The authors have detected the need for a more precise system than those that currently exist due to the increase in the number of people practising hiking in recent years. However, they suggest that their new tool can have more than just recreational uses. Until now, various methods have been used for calculating distances and times. The first was created by the Scotsman William W. Naismith at the end of the 19th century and later refined by Langmuir. Another important development was the Tobler system, which appeared at the end of the 20th century. The most recent important development was the MIDE system, developed by the Spanish Federation for Mountain Sports and Climbing. 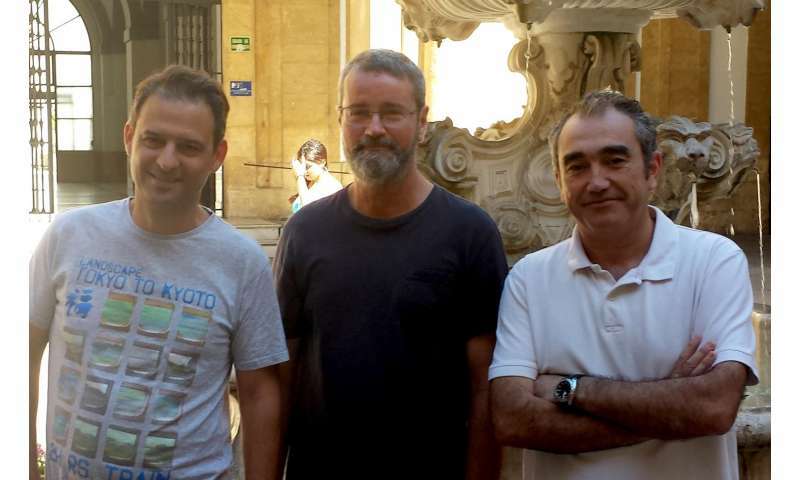 To test the efficiency of their tool, the University of Seville researchers have compared results obtained using it and by the three aforementioned systems on 21 approved hiking routes across Spain. Based on data uploaded to the collaborative hiking routes site Wikiloc, the researchers have certified that their estimations are closer to the real times taken by actual hikers than those given by the other systems or the data provided by the public institutions responsible for the management of the analysed routes. The 21 hiking trails used were chosen after applying a series of criteria like detecting what the most frequented routes were, with a minimum of ten users a day, with the times to complete them having been registered. From the existing times, we eliminated those that were much faster or slower than the average. In this way, we tried to obtain the profile of the average hiker and to discard those who varied too much, either because of excess speed or slowness, from the average. When compared with the timings made by real hikers, the University of Seville researchers obtained better results than the Naismith, Tobler and MIDE systems in 40% of cases (MIDE and Naismith-Langmuir were better in up to 23% of the cases), as well as obtaining a better average when comparing distance with length. However, they highlight that the reality is so varied that it is difficult to avoid differences between the times calculated and the real times taken, and for that reason, they have measured the differences between both. The obtained error normally varies between 1.8 and 2.3 minutes per kilometre. The researchers think their new algorithm can be a useful tool for the organisations that manage these routes, as they will be able to give walkers better estimates of the duration of the routes and will also help them understand infrastructure needs according to the lengths of the routes, such as where to put rest points, shade and water fountains. The new algorithm can also give an estimate for routes that have not been walked before. For that, it is only necessary to digitalise them, marking the way they go on a map on a computer. Also, it allows for the analysis of networks of routes and choosing the quickest from those that exist in an area, and which is better to for the outward and return journeys. Currently, the authors are working on a web application that will allow any user to estimate the length to complete any trail than they intend to follow.